TROY, Michigan, July 1, 2016 – SSOE Group (www.ssoe.com), a global architecture, engineering, procurement, and construction management firm, is proud to announce the addition of three new professionals to their rapidly growing healthcare practice, which has experienced double-digit, year-over-year growth for 12 consecutive months. 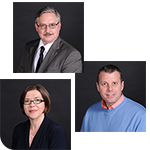 Renata Cirillo, RA, Matthew Paterson, PE, and Robert White, RA, recently joined SSOE’s healthcare group. Robert White, RA, is a senior healthcare planner and brings 18 years of experience and valuable owner’s perspective to SSOE from his time with St. John Providence Health System in Detroit, Michigan where he worked in the health system’s design and construction department. He brings with him experience in all aspects of healthcare renovation and design, including department master planning, equipment replacements, general medicine / surgery and specialty nursing units, and facility infrastructure upgrades to building additions for the expansion of hospital services. White’s experience brings special attention to the importance of getting work completed while simultaneously keeping facilities operational. Other skills include preparation of certificate of needs (CON) documents, operational narratives, and working closely with state and local agencies to assure compliance of projects with regulations. Some of White’s commitment to the community has manifested itself in a number of his accomplishments, including assisting with the location of healthcare clinics in local high schools to serve students who would otherwise not have access to healthcare. White also worked with Wayne State University representatives to develop a dental clinic on the campus of St. John Detroit Riverview Hospital to provide an educational facility for dental residents and a clinic for low-income families. In addition, he has collaborated with the Detroit VA Hospital to develop the first Domiciliary Program in the country. This program provides temporary housing and career counseling for veterans discharged from the VA hospital, but not yet ready to live independently. 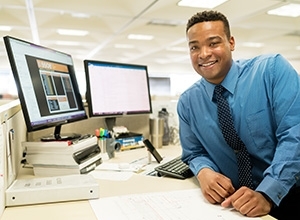 White holds two bachelor’s degrees: a Bachelor of Science of in Architecture and a Bachelor of Architecture—both from Lawrence Technological University. White is a licensed registered architect. Renata Cirillo, RA, is a senior architect and brings 20 years of experience to SSOE. She has a wide breadth of experience in the design of healthcare facilities, specifically senior care facilities including independent and assisted living, skilled nursing and memory care, outpatient surgical centers, and medical office buildings. She has worked on projects for clients such as HealthSource Saginaw, Eaton County Health and Rehabilitation Services, and Shiawassee County Medical Care. In her role, Cirillo will apply her expertise to the same project types and be responsible for the coordination of these projects from schematic design through substantial completion as well as scheduling, staffing, and coordinating work assignments for multiple projects. Cirillo holds a Master of Architecture from Warsaw University of Technology in Poland and is a licensed registered architect. Matthew Paterson, PE, is a senior electrical engineer with 12 years of experience who recently rejoined SSOE. Paterson is responsible for providing specialized electrical design for new facilities as well as facility upgrades and renovations in the healthcare sector. 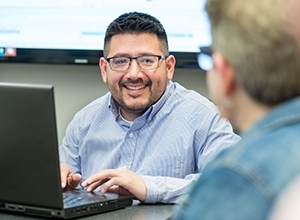 He has worked on projects for clients such as the U.S. Department of Veterans Affairs, Henry Ford Health System, Beaumont, and Elizabeth Scott. He is involved from conception through construction administration, including design coordination meetings with owners and developers to determine their electrical needs. Additionally, Paterson has experience working with utility company representatives to coordinate new power services to project sites and code officials on project requirements. He has LEED® experience, holds a Bachelor of Science in Electrical Engineering from Wayne State University, and is a licensed professional engineer. SSOE has a highly trained and accredited healthcare team, which includes professionals to guide owners through all stages of healthcare projects—from strategic master planning, architecture, engineering, and interior design to construction management. Their experience includes all types of healthcare facilities such as cancer centers, acute care hospitals, community hospitals, academic medical centers, specialty clinics, labs, and medical office buildings. Learn more about SSOE’s healthcare experience at www.ssoe.com/healthcare.